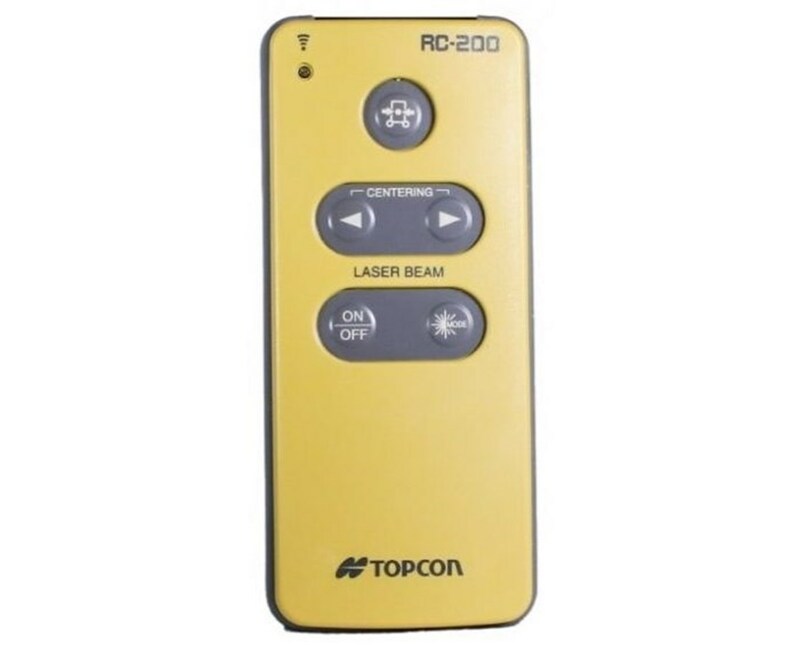 The Topcon RC200 Remote Control operates the TP-L4 and TP-L5 pipe lasers from distances as far as 660 feet. This infrared remote allows you to power your pipe laser on and off. You can also put your laser beam in standby mode to preserve battery power. Left and right arrows simplify centering your line and laser beam. Press the Beam Mode button to manage the brightness of the laser beam. 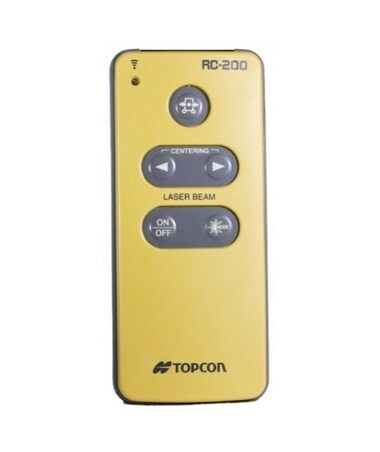 The RC200 remote control operates TP-L4 and TP-L5 series pipe lasers as far as 660 feet from the front of the pipe laser and 82 feet above the pipe laser.